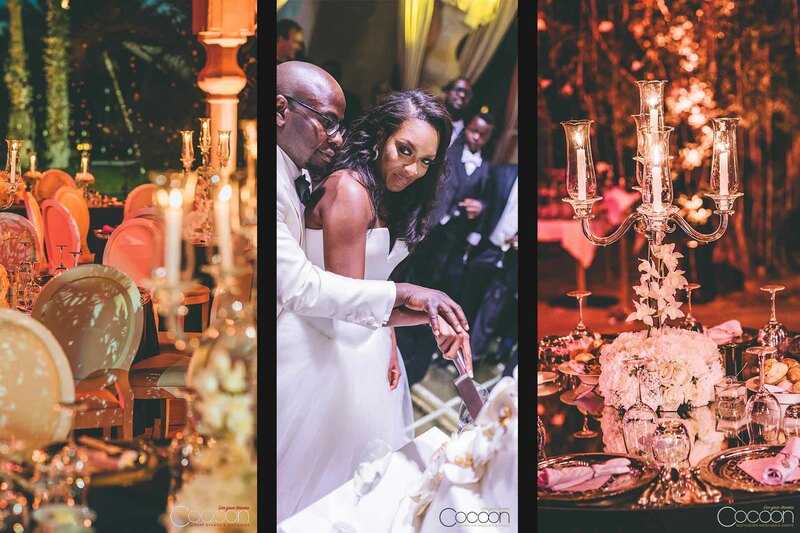 Nigerian-born, London-raised fashion designer, Banke Kuku, wanted somewhere exotic to celebrate her wedding day. She had always been enamored with and inspired by Morocco, especially the desert paradise of Marrakech. 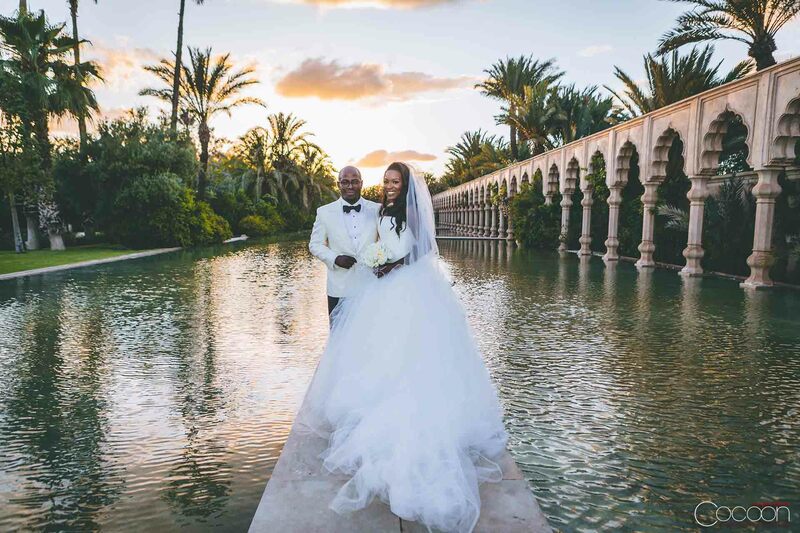 She and Sola, her fiancé, were introduced to the Palais Namaskar by our award-winning international wedding designer, Fabrice Orlando, who helped them envision how simple it would be create the ultimate Moroccan Palace Wedding by simply enhancing the inherent beauty and natural ambiance of the site. Banke developed a serious crush on the historic palace location, as well as Fabrice’s vision for her multi-day celebration. 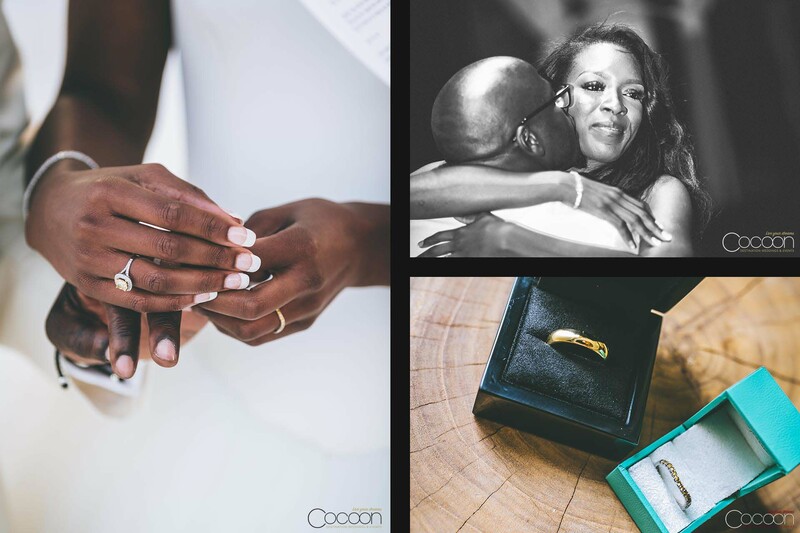 Sola loved the entire concept, too and both had complete faith that the Cocoon Events team would bring all of the brilliant ideas to life in front of their guests’ eyes. Their fairy-tale wedding in Morocco would soon become a reality. 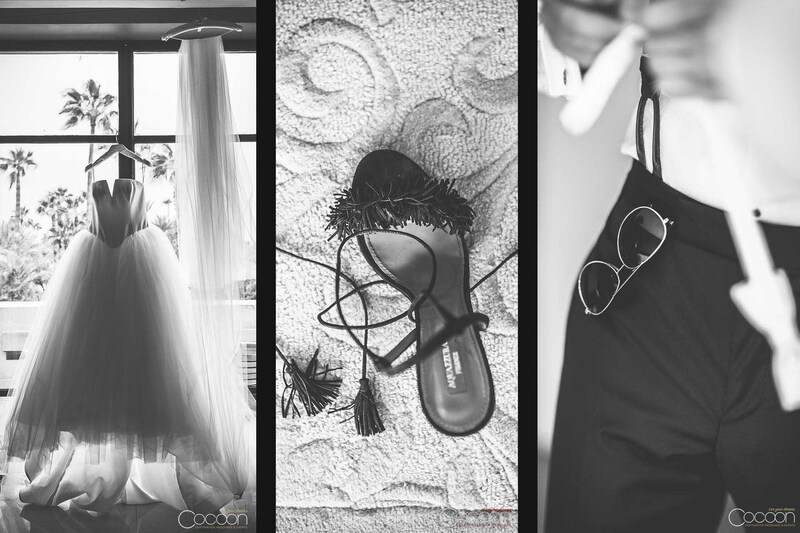 Knowing that the eye of a talented fashion designer would be extra attuned to every detail, we set out to wow this special couple. 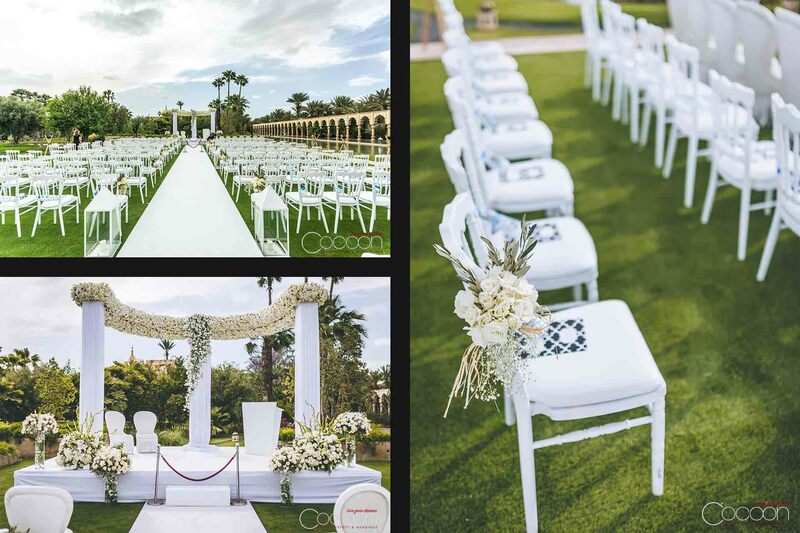 We designed a bold, black-and-white palette that unified each setting of the stunning, multi-stage event. 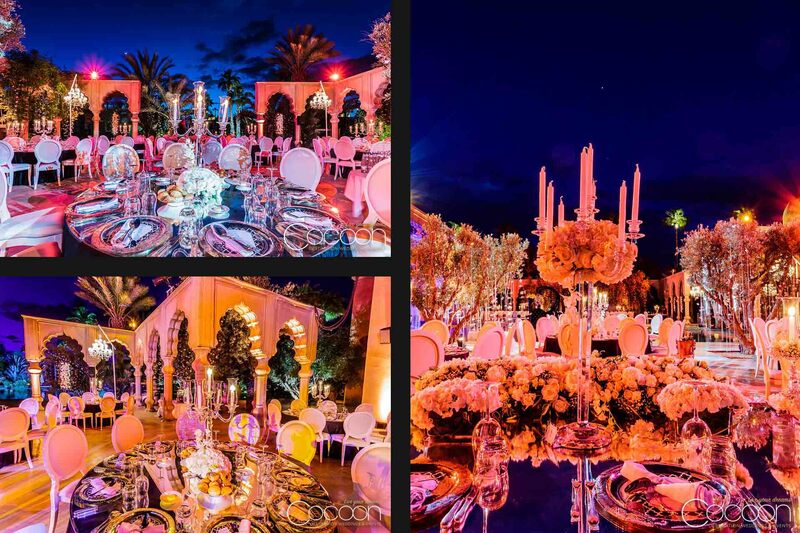 From the pristine towering colonnade of their beautiful outdoor ceremony to their opulent al fresco dinner reception under the legendary Moroccan stars, we ensured that there was visual and sensory continuity from one scene to the next – a seamless experience for the destination wedding guests. The mirrored reception tabletops “reflected” the palace’s many luxurious interior fountains and ponds, some of which provided the perfect backdrops for Banke and Sola’s formal portraits. 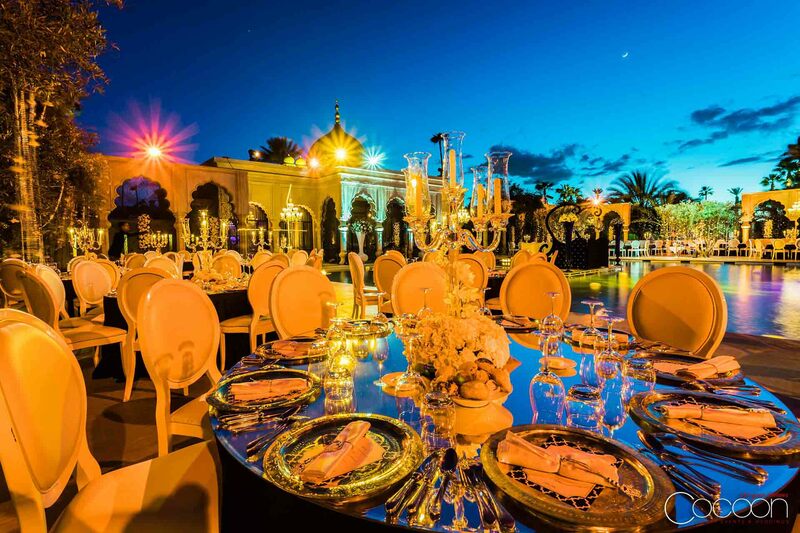 Overall, the grounds hosted 7,000 romantic candles, an inspired 4-course dinner, live entertainers and one incredible night to remember in Marrakech. All of the different elements merged perfectly in a timeless wedding design and pure romance for Banke and Sola. 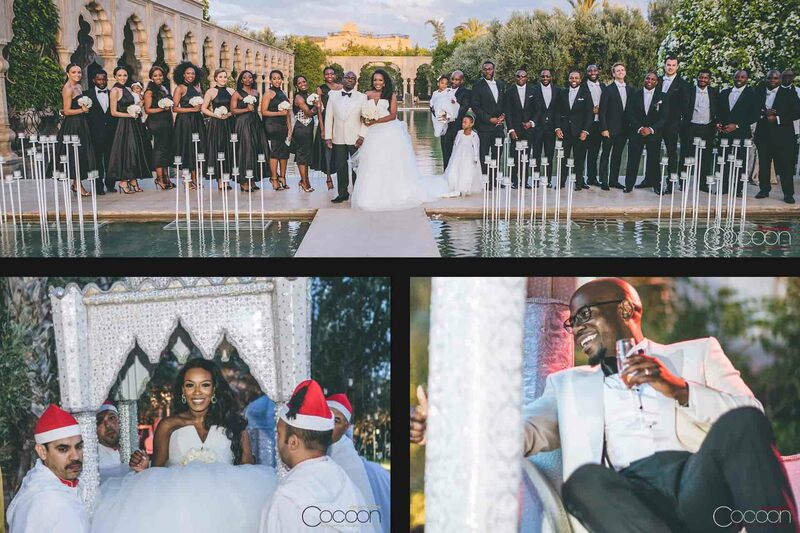 Their destination wedding in Marrakech was nothing short of perfection.